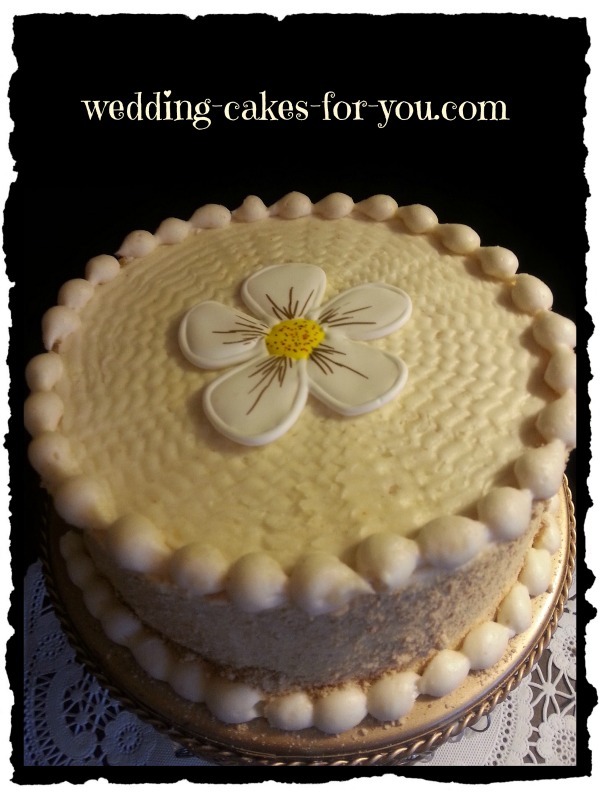 Luscious cake icing recipes for your wedding cakes and decorating. Try the easy Butter cream frosting made with confectioners sugar and real butter or a classic Italian Meringue recipe made with egg whites and hot sugar syrup. Love chocolate? Choose a delectable one from the list below. These heavenly frosting recipes are tried and true. For over 25 years they have been a staple in the many professional kitchens that I have worked and in my home kitchen. The next time you make a cake for any occasion give these a try. The herbal cakes are trending. You will LOVE this aromatic and earthy frosting on all types of sweet things. I especially enjoy it with my orange butter cake. 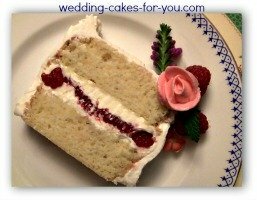 The recipe is here and so is a pretty video of the Rosemary and Lavender wedding cake delivery. The aroma alone is enough to convince me that this is one of the most unusual yet intriguing icing recipes I have tasted as of yet. 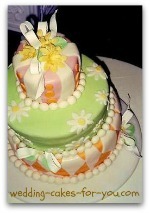 It makes a very elegant icing for a wedding cake and looks lovely on a lemon or any flavor cupcake. The essence of this beautiful and healthful herb speaks of love and harmony. 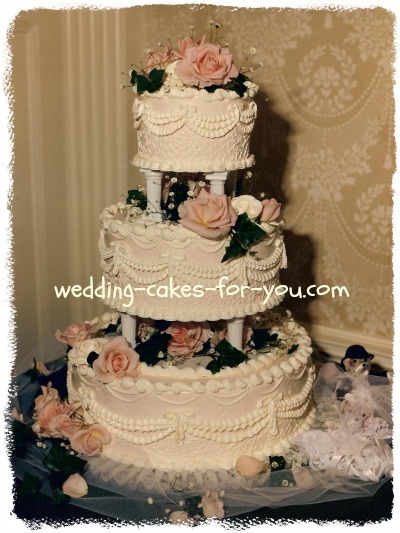 The most often used frosting on a wedding cake is butter cream due to it's texture, taste and durability. I never use Crisco based coverings on my work, with the exception of cake decorating flowers at times. I also use and recommend buttercream as well as ganache to frost underneath a fondant en robing. OMG this one is NEW and it's soooo yummy. The browned butter and cream cheese together has a cheesecake like flavor with the essence of butterscotch or caramel. LOVE this one, and you will too. Try this one with carrot cake or a chocolate for a nice pairing of flavors. A supremely luxurious frosting for brides the Italian meringue is made with sweet cream butter, hot sugar syrup, and whipped egg whites. Rarely do I use anything else for the finishing coat on all of my wedding cakes. Here is an easy butter cream icing recipe for you. It only requires three ingredients, butter, powdered sugar and vanilla. It is so simple to make and delicious! Use it in place of the Italian meringue for a quick and yummy alternative. This is one of my go to recipes if I want to really wow the bride and groom. Its so easy to make too. You will be surprised just how simple this is. It can also be used a fantastic wedding cake filling. It pairs well with orange butter cake and raspberries. For flowers that are crisp and detailed learn to make royal icing. Royal icing is excellent for making lace, snowflakes, string work and more. Included is a video tutorial with links to specific decorating ideas. 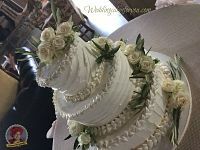 The Wilton cake decorating frosting recipe which is made with shortening and can be used as an alternative icing for making roses, borders and more is included. 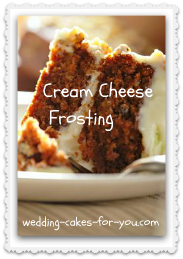 The classic cream cheese frosting! Carrot cake tastes best when you fill and frost it with cream cheese sweetened with sugar and flavorings. A lemon cream cheese frosting adds an extra WOW factor to this luscious dessert. Are you ready for some chocolate goodness? 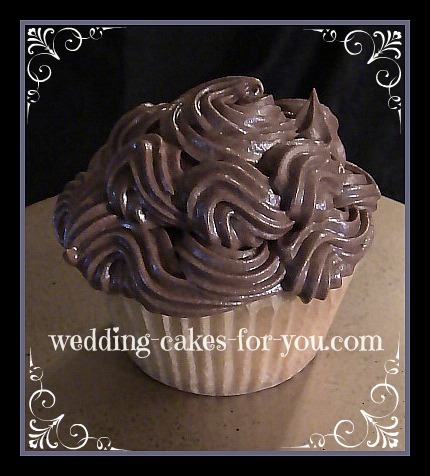 Chocolate ganache is a staple in most cake decorators kitchens. Two ingredients are all that is needed, chocolate and heavy cream! Caramel icing is great for a filling or on cupcakes, Chocolate fudge is similar to ganache although not as versatile, this recipe is rich. And if you fancy a nutty filling try the coconut pecan for a German Chocolate cake flavor. Chocolate ganache is so decadent yet so simple to make. It can be used in a variety of ways. You will always want to have this recipe handy. Caramel goes great with a spice cake, the carrot cake recipe, or with the new fresh apple cake recipe on the halloween cupcakes page. There are a couple of variations on this page for you. Add a good quality chocolate to butter cream and you have a delicious and easy chocolate fudge frosting, or follow the instructions for this gooey yummy icing. So easy and delicious for filling and covering a cake. The German chocolate filling and frosting tastes like butterscotch with pecans and coconut. It's easy to make and will convert any chocolate cake into a German chocolate cake. Chocolate and coffee combination, what could be better than that? especially on a chocolate cake. Here is a link to the best buttermilk chocolate cake recipe on this website. Whipping cream or heavy cream whipped with confectioner's sugar and vanilla is the basic idea here but you can do much more with this wonderful concoction if you stabilize it with cornstarch or gelatin.